Determined businesspeople find ways of getting started even when they don't know how. 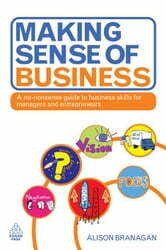 At some point, many entrepreneurs and managers feel they need to acquire new skills and brush up on existing ones in order to achieve targets, make money, and avoid mistakes.Making Sense of Business helps readers do just that, with expert guidance on key skills such as selling, presenting, and negotiating, and advice on developing self-confidence and learning to work creatively. There is no advantage in devising an imaginative sales pitch if no one has the confidence to carry it off. There is equally no benefit in having good interpersonal skills if after striking a deal the contract is signed without a thorough understanding of its contents, only to discover later that the agreement is a bad one, full of loopholes and liabilities.Readers of Making Sense of Business will learn how to avoid those problems. 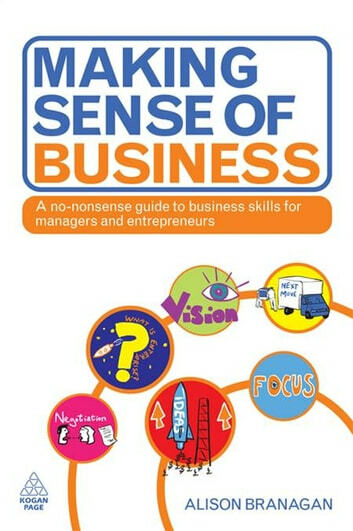 With illustrated mind maps and creative exercises, Making Sense of Business encourages fresh ways of thinking, helping readers learn new skills and solve problems creatively. Boxes, diagrams and panels capture points in ways that are relevant, simples and logical.